If you travel through wild rice country—Minnesota, Wisconsin, and parts of Canada—seeing wild rice on a breakfast menu isn’t unusual at all. It’s stirred into pancakes, cooked up into porridge, tucked into omelets, and even offered plain as a side with a pat of butter. And for good reason. 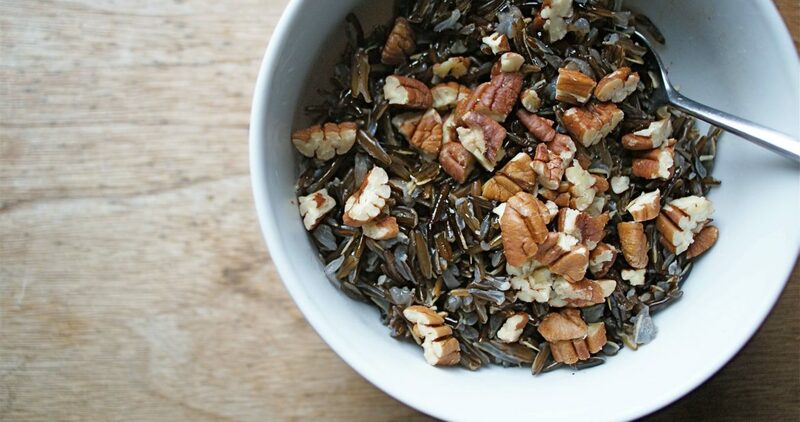 Wild rice is hearty and comforting, adding an earthy nutty flavor everywhere it turns and melding seamlessly with both sweet and savory flavors. Here, it’s combined with darkly sweet maple syrup, crunchy toasted nuts, and chewy dried blueberries. 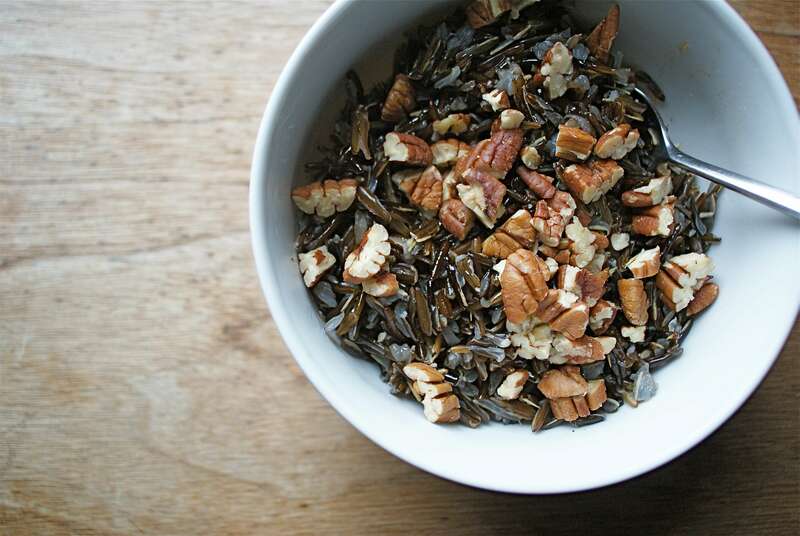 Wild rice makes a delicious breakfast porridge, especially when topped with maple syrup and toasted pecans. Preheat an oven to 375°F. Bring a large pot of water to a boil. Add enough salt so it tastes just a bit salty. Add the wild rice and cook until tender, usually 20-30 minutes, but depending on how it was cured and how old it is, it may take closer to 45 minutes. Drain. While the wild rice cooks, toast the nuts, if using: Spread the nuts on a baking sheet and bake until just starting to brown, about 10 minutes. Set a timer and keep a close watch: nuts go from toasted to burnt in the blink of an eye. Return the rice to the pot with the milk and the maple syrup. Cook over medium heat, stirring frequently, until the wild rice has become even more tender and has absorbed the milk. Divide between 4 bowls and top with nuts and dried blueberries, if using. Offer more maple syrup at the table for diners to add as they like.